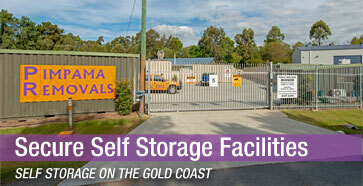 Nerang Pimpama Removals are your Local Gold Coast and Interstate Removals specialists. 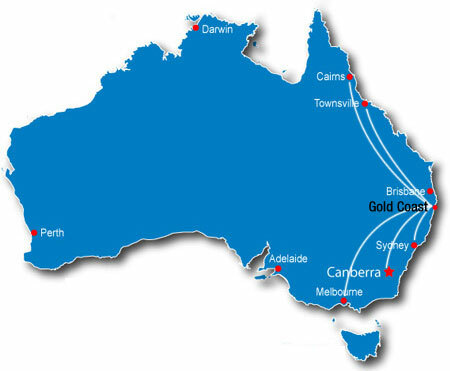 We have been doing weekly runs from Melbourne to Cairns for 24 years. Run by Gary Kershaw and his partner Roxanne, they are a family owned and operated business. They pride themselves on their track record of giving local and interstate families a hassle free moving experience. As a Nerang Pimpama Removals client, you will deal directly with the one consultant from start to finish, providing a very personal level of service. Why choose Nerang Pimpama Removals? Nerang Pimpama Removals specialize in a door to door service. Clients have trusted Nerang Pimpama Removals to move their furniture and belongings for 24 years and pride themselves on delivery a good old fashioned service. Their business is built on it. 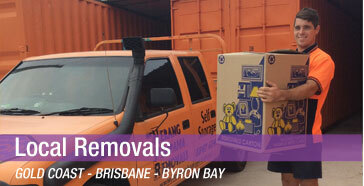 From Melbourne to Cairns, Nerang Pimpama Removals are your professional moving team. Are you moving to the Gold Coast from Interstate? Then you’re come to the right place. Nerang Pimpama Removals not only services local moves on the Gold Coast, but also interstate removals, which cover the entire East Coast from Cairns to Melbourne – and everywhere in between. We proudly offer the most reliable and personalised interstate removals (Gold Coast) service to ensure a stress-free moving experience. Whether your move is from a small unit or a large family home, residential or commercial, our fleet of semi-trailers offers the option of additional detachable trailers, so all of your belongings are transported together and in the one trip. 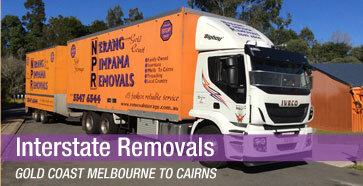 Nerang Pimpama Removals offers old-fashioned, personalised service. As a family-owned and run business, with over two decades of experience in the removals industry, we take great pride in facilitating interstate removals Gold Coast and beyond. You can rest assured you will only deal with one friendly consultant who will follow your moving process from quoting to completion. Modern reliable fleet of trucks, all of our trucks are professionally sign written. High Rises, Townhouses and Units. We can supply boxes if required as well as packing material and tape.